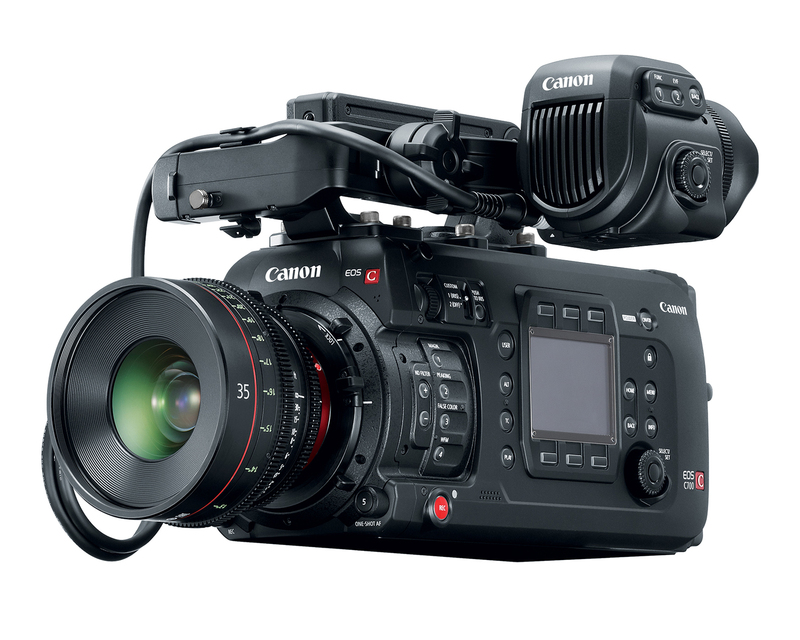 MELVILLE, N.Y., September 1, 2016 – Canon U.S.A., Inc., a leader in digital imaging solutions, announced today the next step in the evolution of the Cinema EOS family of professional cinematography products with the new EOS C700, EOS C700 PL and EOS C700 GS PL cinema cameras. Featuring a completely new, customizable, modular design, the EOS C700 meets the demands of today’s productions – from feature films to documentaries to episodic dramas. The EOS C700 and EOS C700 PL cameras feature a Super 35mm 4.5K sensor1 with wide dynamic range, and can be ideal for productions requiring 4K UHD TV or 4K DCI cinema deliverables. The EOS C700 GS PL features a Super 35mm 4K sensor with a global shutter to enable the distortion-free capture of subjects moving at high speeds. In addition to supporting the earlier XF-AVC2 recording format, the cameras also support Apple® ProRes. 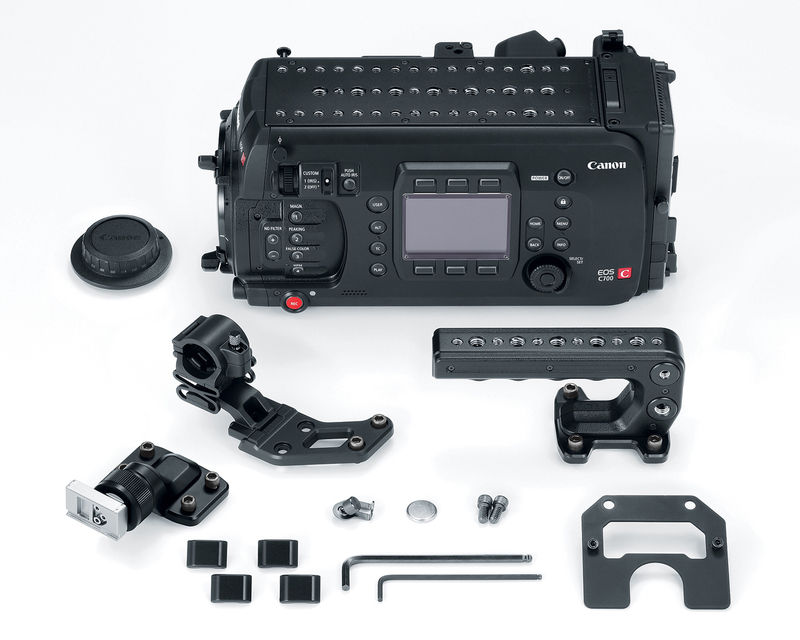 Recognizing that customers today demand flexibility and the ability to respond to the changing needs of productions, the EOS C700 allows users to convert between EF mount and PL mounts, and between a standard CMOS image sensor and a global shutter CMOS image sensor at Canon service facilities3. The EF lens mount provides compatibility with Canon’s diverse lineup of over 70 interchangeable EF lenses as well as enabling use of Canon’s Dual Pixel CMOS AF technology. While the EOS C700 PL and EOS C700 GS PL allow use of industry-standard PL lenses and compatibility with Cooke /i metadata communication technology. For those wanting to shoot and deliver High Dynamic Range (HDR)4 content, the EOS C700 and EOS C700 PL are ideal – providing 15 stops of latitude5, Canon’s proprietary Log Gammas (Canon Log3, Canon Log2 and Canon Log) and renowned color science. Additionally, these cameras seamlessly integrate with Canon’s professional 4K displays (DP-V2420, DP-V2410 or DP-V1770) for on-set color management and review that conforms to SMPTE ST 20846 standards of HDR display. To complement these powerful new acquisition tools, Canon has turned to its trusted partner Codex to provide a fully-integrated (no cables) recording and workflow option. The combination of the EOS C700 camera with the optional Codex CDX-36150 recorder allows for high-speed 4.5K RAW recording at up to 100FPS, 4K RAW at up to 120FPS, 4K ProRes at up to 60FPS, 2K ProRes at up to 240FPS and XF-AVC at up to 60FPS. Canon’s new EOS C700, EOS C700 PL and EOS C700 GS PL are the first Cinema EOS cameras to support anamorphic shooting by utilizing a “de-squeeze” function for monitoring7, making possible the creation of images with the 2.39:1 aspect ratio typical of cinema productions. Furthermore, enabling Full HD high-frame-rate recording at a maximum of 240 fps (crop8), the camera enables smooth playback, even when slowed down, for great emotional visual expression. Along with the announcement of these cameras, Canon is also introducing optional accessories OLED 1920×1080 Electronic View Finder EVF-V70, Remote Operation Unit OU-700, Shoulder Support Unit SU-15, Shoulder Style Grip Unit SG-1 and B4 mount adapters MO-4E/MO-4P. The EOS C700 and EOS C700 PL are currently expected to go on sale in December 2016, while the EOS C700 GS PL is currently expected to go on sale in January 2017. The EOS C700 and EOS C700 PL will have a list of $35,000.00 each** and the EOS C700 GS PL will have a list price of $38,000.00**. Canon U.S.A., Inc., is a leading provider of consumer, business-to-business, and industrial digital imaging solutions to the United States and to Latin America and the Caribbean (excluding Mexico) markets. With approximately $31 billion in global revenue, its parent company, Canon Inc. (NYSE:CAJ), ranks third overall in U.S. patents granted in 2015† and is one of Fortune Magazine’s World’s Most Admired Companies in 2016. Canon U.S.A. is committed to the highest level of customer satisfaction and loyalty, providing 100 percent U.S.-based consumer service and support for all of the products it distributes. Canon U.S.A. is dedicated to its Kyosei philosophy of social and environmental responsibility. In 2014, the Canon Americas Headquarters secured LEED® Gold certification, a recognition for the design, construction, operations and maintenance of high-performance green buildings. *This device has not been authorized as required by the rules of the Federal Communications Commission. This device is not, and may not be offered for sale or lease, or sold or leased, until authorization is obtained. **Availability, pricing and specifications are subject to change without notice. Actual prices are set by individual dealers and may vary. 1.) 4.5K RAW recording will be supported following a firmware update (currently scheduled to be released at the end of March 2017, see chart below). 2.) Canon’s proprietary video format that efficiently compresses video data. 3.) Conversions will incur a fee and will be handled by Canon service facilities. 4.) High Dynamic Range refers to a technique that enhances the contrast between light and dark values (the dynamic range) of an image. 5.) 15 stops achievable in EOS C700 and EOS C700 PL models in Canon Log2 mode. EOS C700 GS PL achieves 14 stops. 6.) The wide dynamic range imaging standard recommended by the Society of Motion Picture & Television Engineers. 7.) A lens that enables shooting with landscape-orientation compression and makes possible a characteristic blur effect. 8.) A shooting function that creates a pseudo-telephoto effect using a portion of the sensor area. DV Info Net -- The Digital Video Information Network -- posts relevant, timely press releases and news articles pertaining to the latest developments in the professional broadcast, digital cinematography, corporate / event videography, and serious enthusiast / semi-professional visual creative markets worldwide.